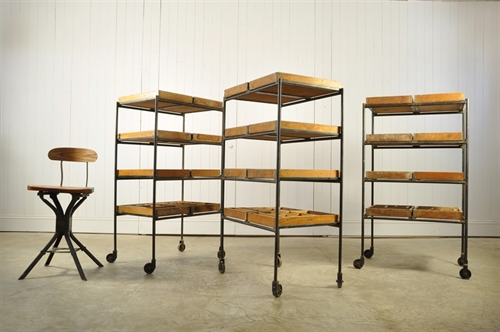 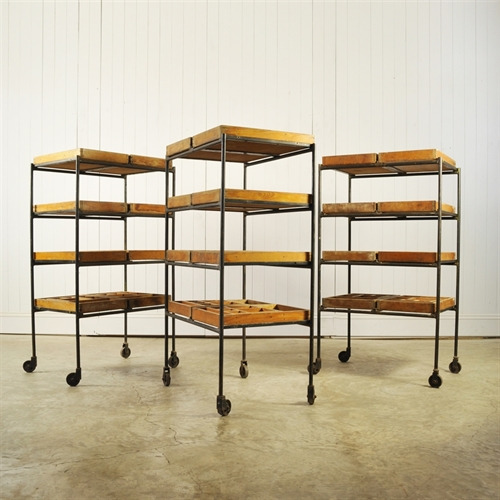 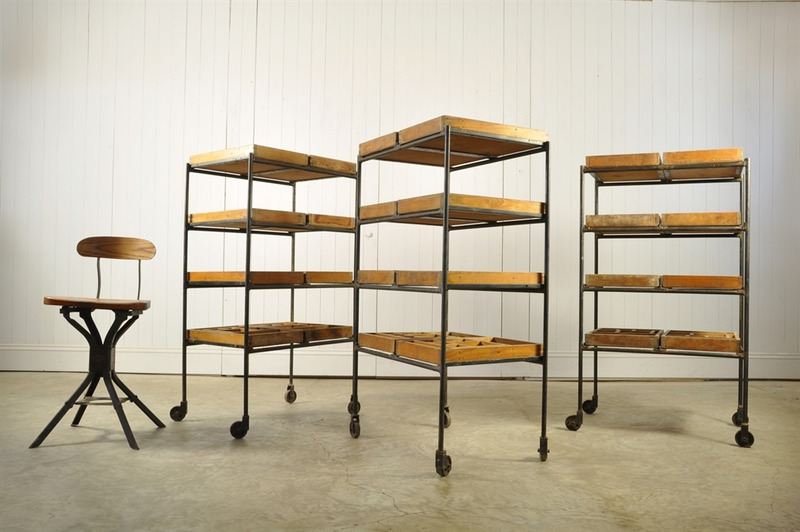 Work In Progress Trolleys - Original House – Decorative Antiques, Vintage Industrial Furniture and Lighting, Cotswolds. 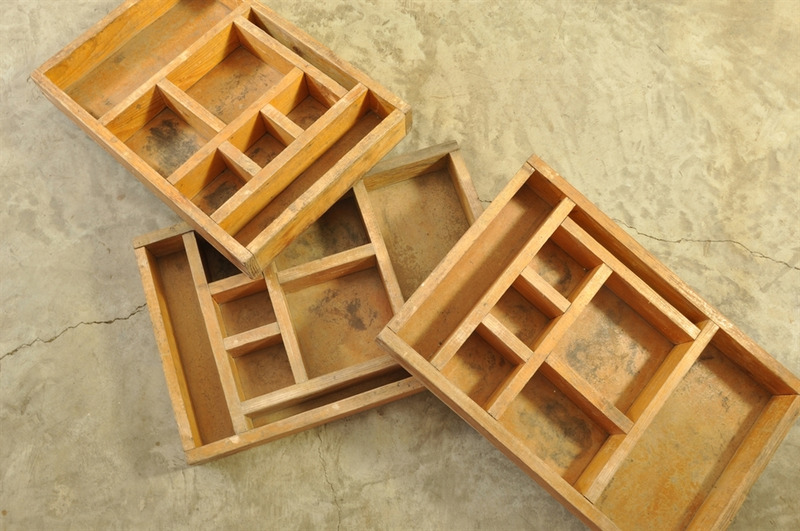 These vintage component trolleys were sourced from a factory in the Czech Republic. 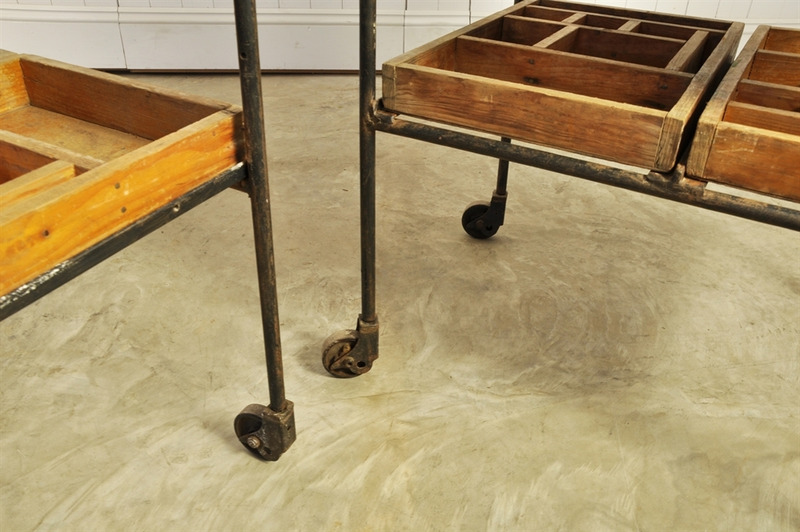 Steel frames and castors and wooden trays - all with masses of natural patina, bumps and scrapes etc. Very well made and all working as expected. 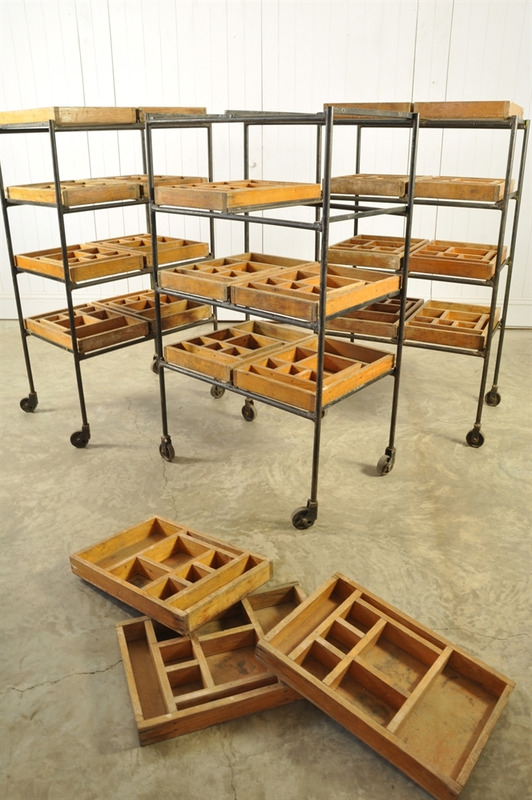 Perfect for all you budding / professional artists, makers and shakers out there. 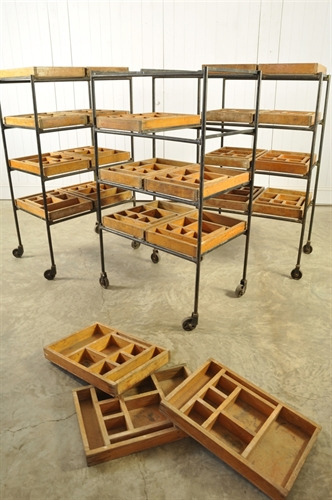 The wooden trays are not fixed and tend to wobble around when wheeled over my concrete floor. 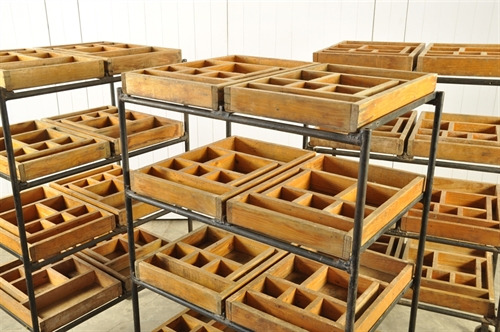 These could easily be glued in place...... unless thats unhelpful.